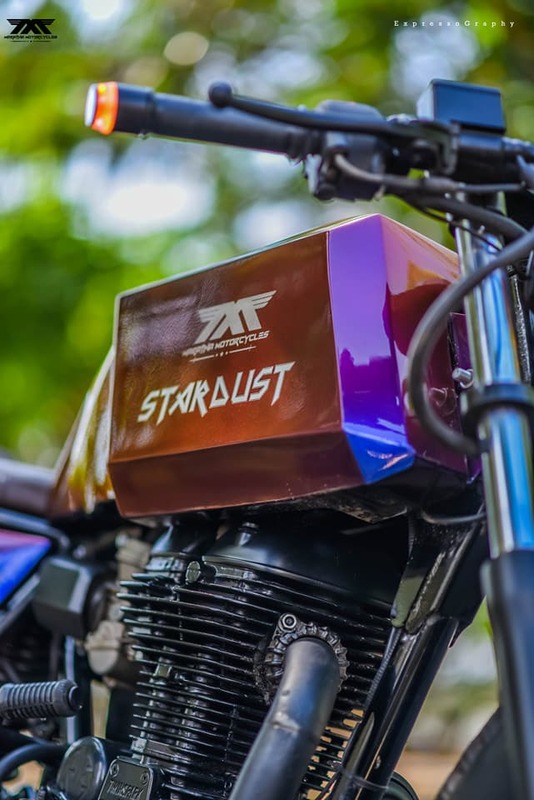 Meet RE Classic 350 Stardust Edition: Let’s admit it! 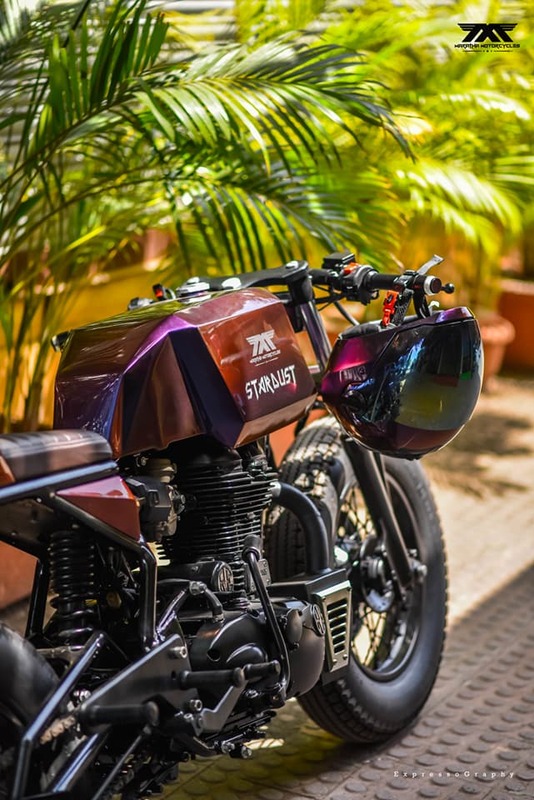 Classic 350 is the favorite Royal Enfield of India. 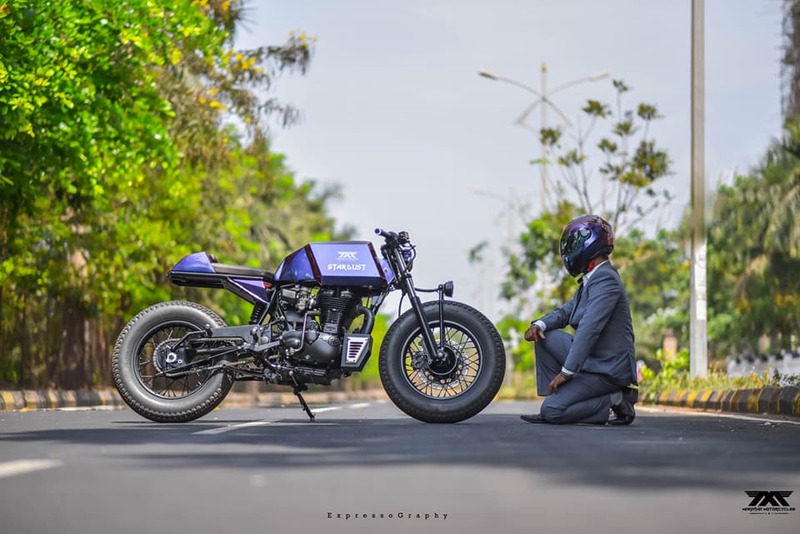 Some riders prefer staying calm and drive with those stock shiny metal parts while others, they just rip everything apart to explore the remaining possibilities of a Royal Enfield drive-train. 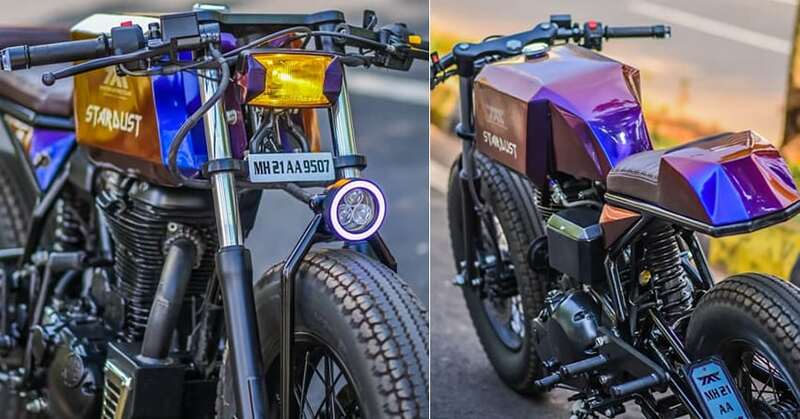 One such story comes from the house of Maratha Customs, who not just turned the profile into something different, but also, made it lighter by a big margin. 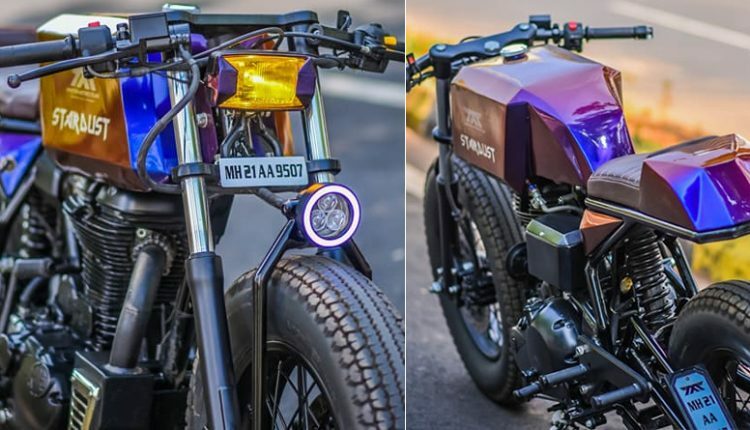 This Cafe Racer is called Classic 350 Stardust and, was built to turn heads on the road, with a guarantee. After removing every possible part, the modifier first finished the engine black for that mean machine look. 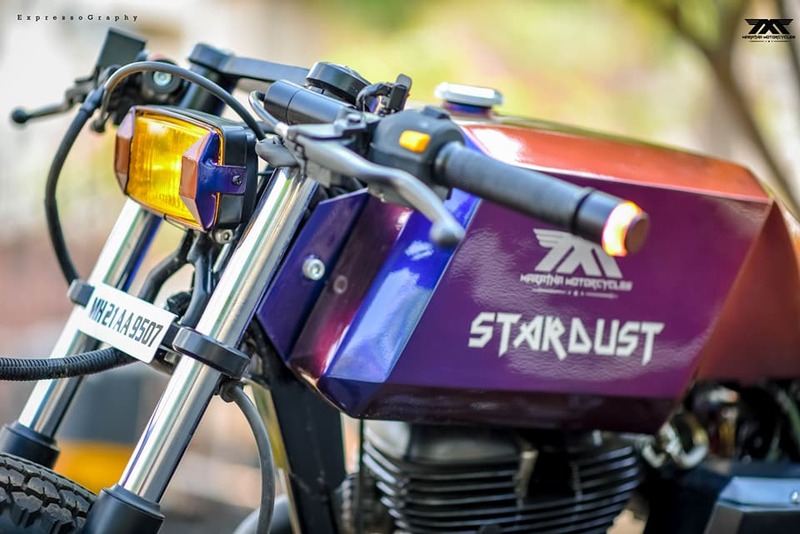 Stardust also proves that not every Royal Enfield bike need curves after modification. 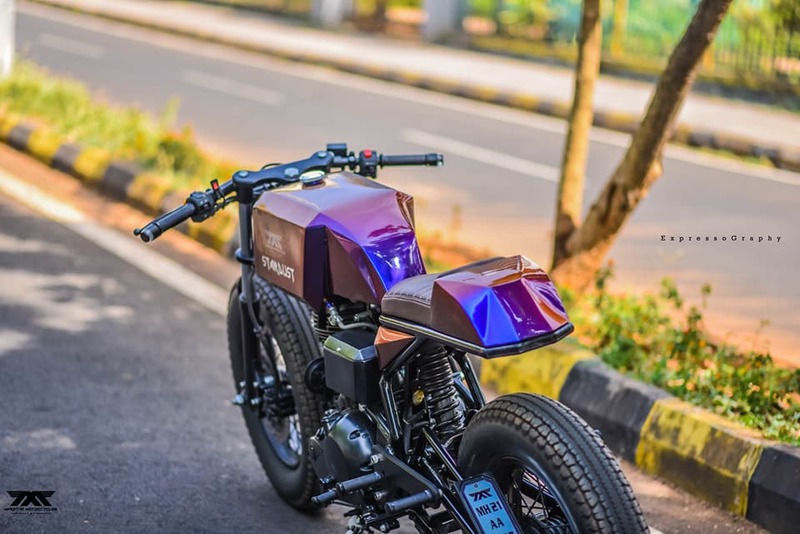 The fuel tank is a unique piece of art with sharp corners like a diamond and still, enough space for the knees. It is not yet known if the design will alter seating for long riders. 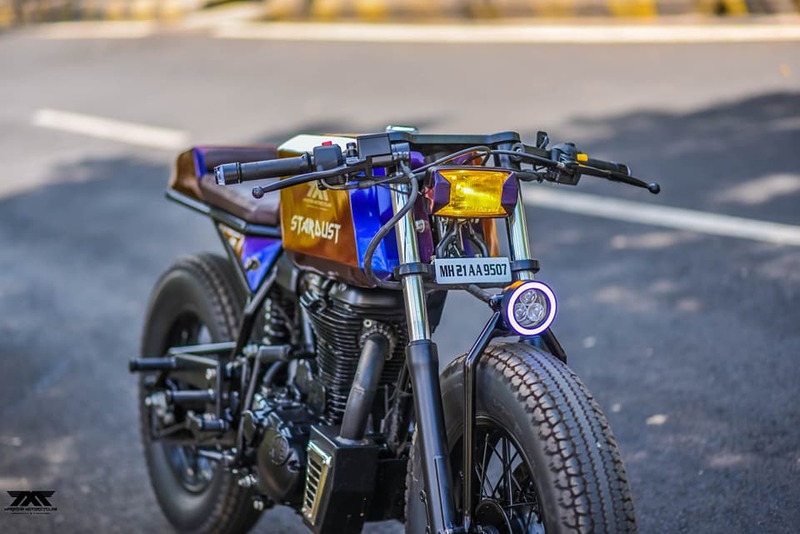 If someone looks from the front, the bike feels more like a 90’s machine with rectangular headlight, that too covered with Yellow outer glass. 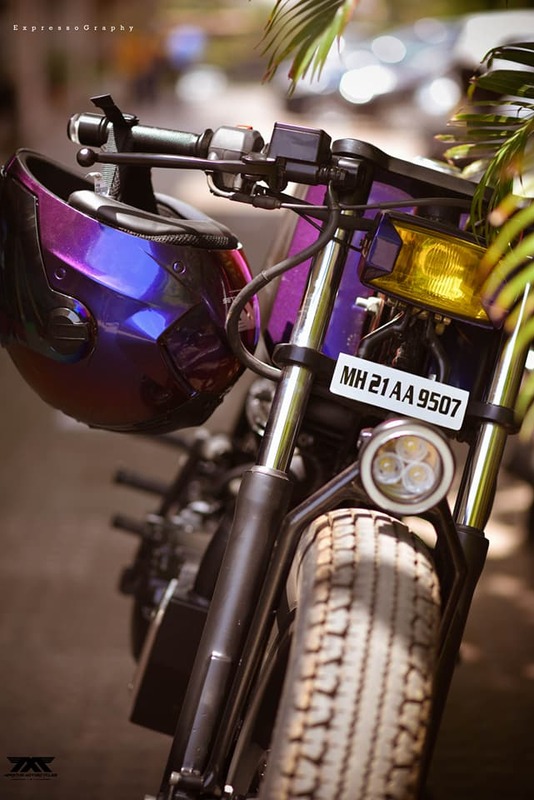 The suspension now features a naked design and, Maratha Customs have beautifully mounted the handlebars on this setup. The lower position brings strict cafe racer inspired seating position for the rider. 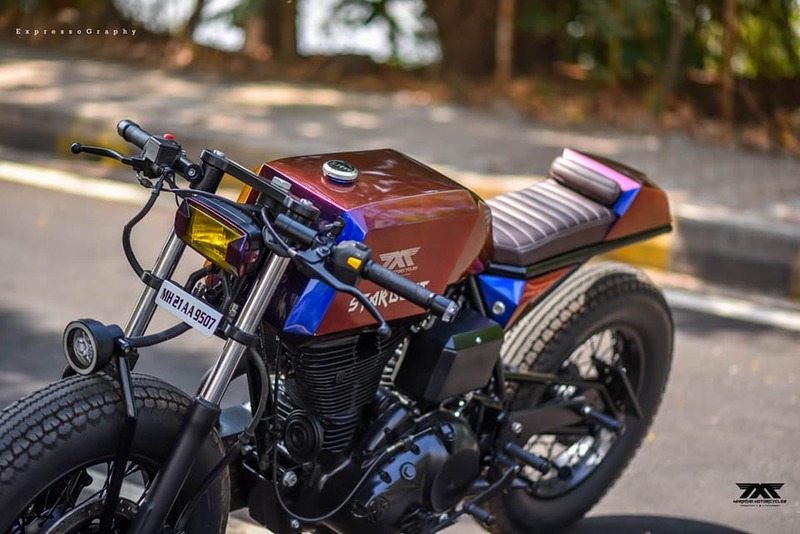 The two-piece, original Royal Enfield seating gave way to this ribbed, single-piece seat with a small backrest. The gaps between the frame are well filled with custom designed parts. The color changing paint further adds premium look into the presence of Stardust. Both the ends are now fitted with thick tires for that macho look one desires from a custom built machine. Rear frame alterations enabled the modifier to use a monoshock in place of twin rear shocks. The swing-arm is also modified to support the huge tire. Royal Enfield Classic 350 is a powerful motorcycle with 28 Nm of massive torque at just 4000 rpm.